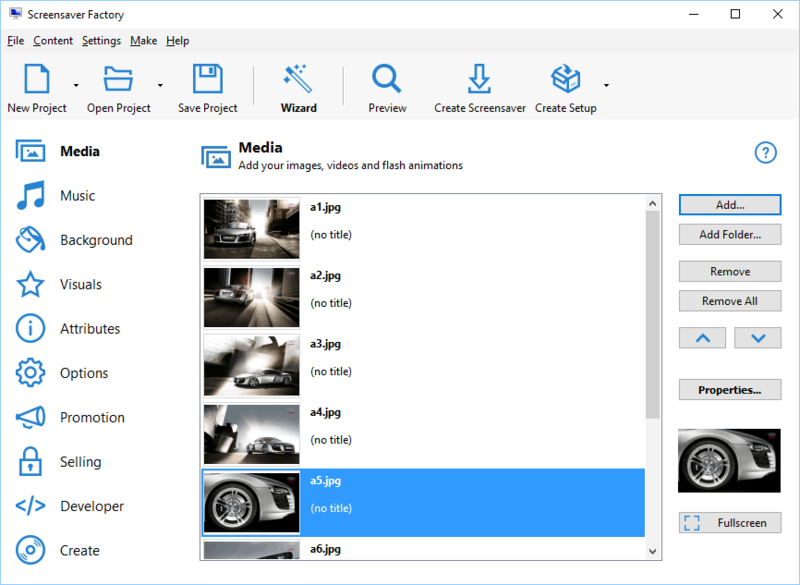 You can use images, video and flash animation files with your screensaver. You can customize each screensaver item. 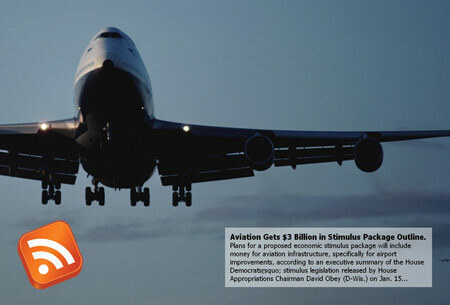 Caption can be added to each image. 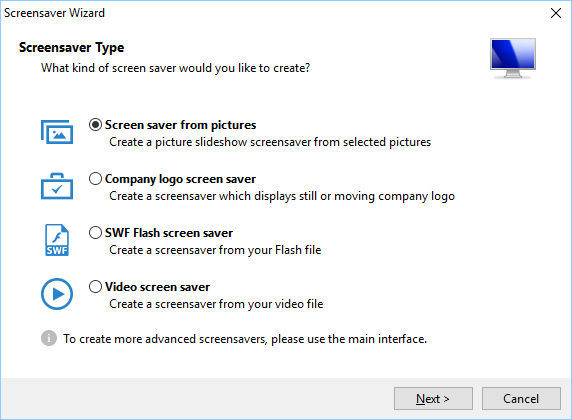 Screensaver wizard allows you to create various types of screensavers even if your computer skills are very basic. 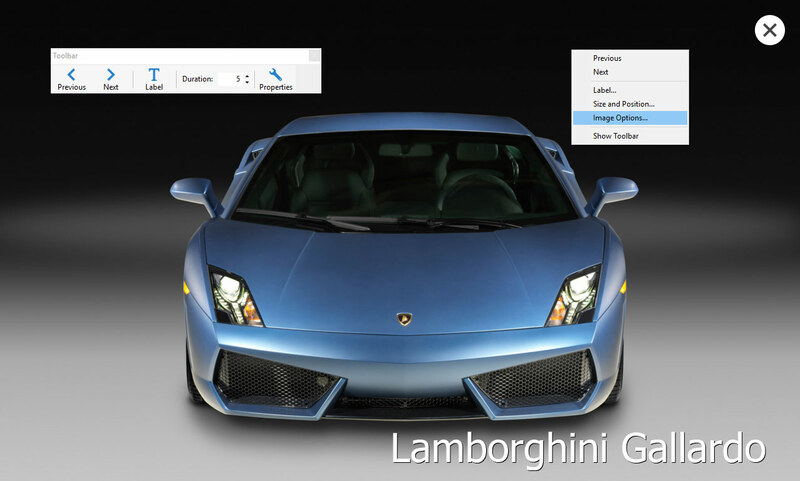 Preview and adjust the properties of your screen saver while in true full-screen mode. 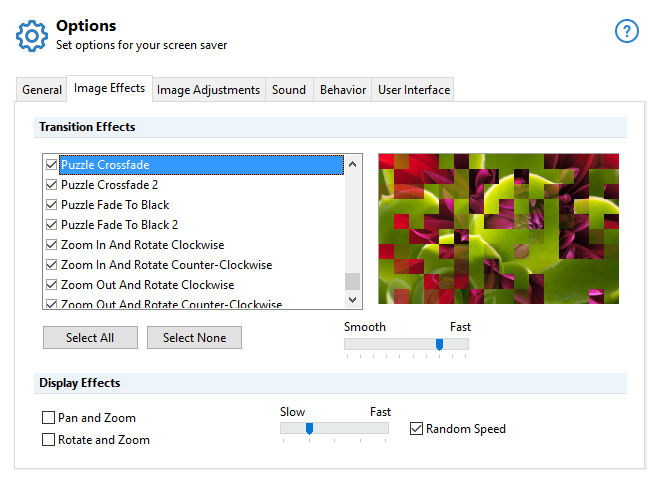 You can select from over 100 image transition effects. 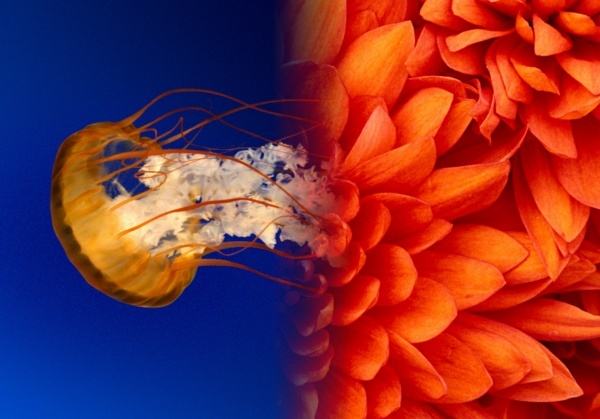 Give your screensaver a sophisticated touch with these modern transition effects. 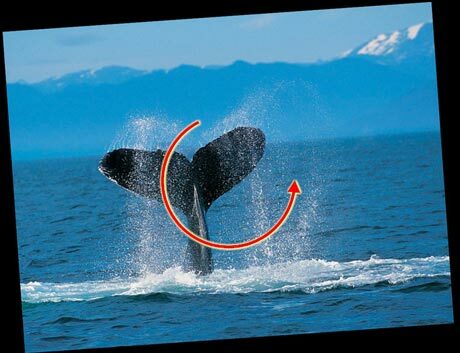 Make your still slideshow screensavers so much cooler by adding constant movement. 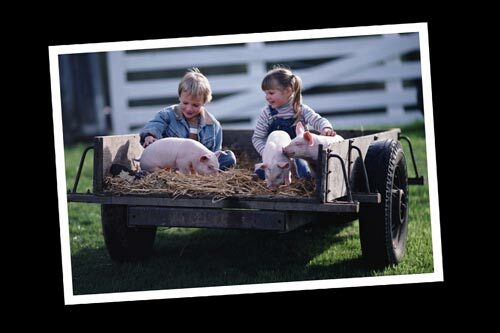 The new display effects will make your pictures slowly and smoothly slide or rotate and zoom. 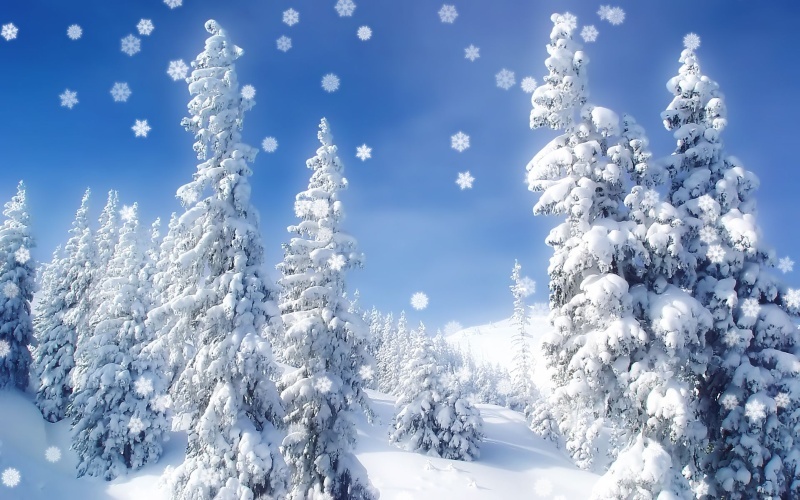 Easily add amazing visual effects, such as falling snow, leaves, petals, rising bubbles or your own custom. You can choose from pre-defined effects or create your own effects. Create amazing photo-album screensavers by turning on the new photo frame effect and combining it with other effects, such as rotate and zoom and grayscale. 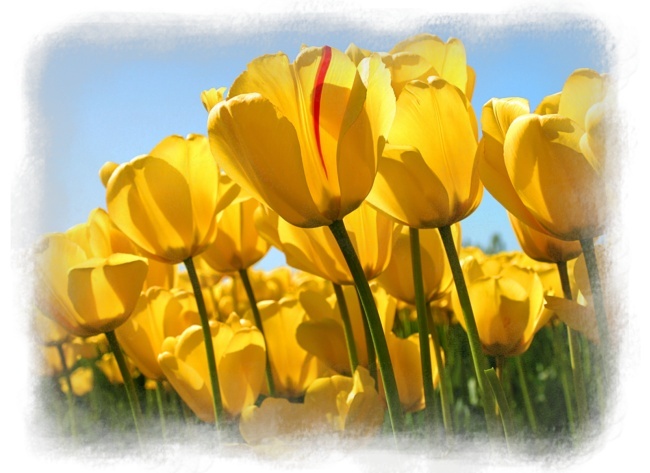 You can use masks to create interesting picture edges and blend pictures with background. Turn your screensaver into something practical by adding a clock or calendar. 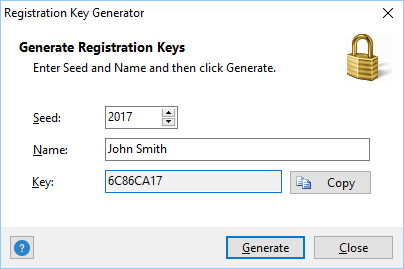 User can select whether to show clock or calendar. 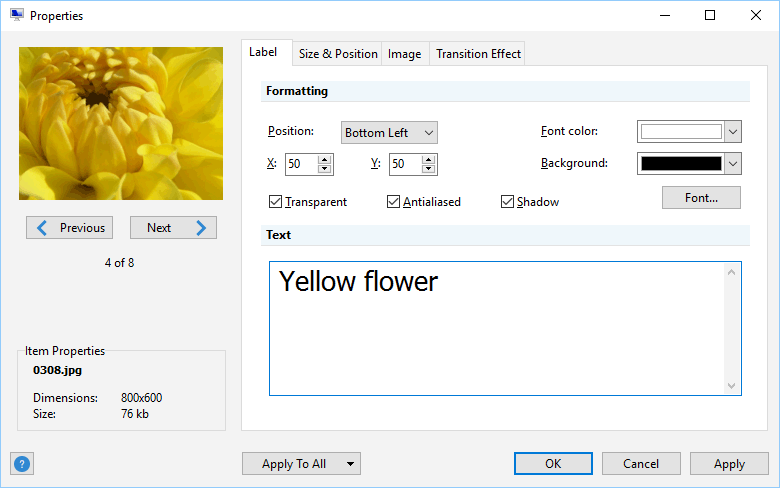 Choose between solid color, gradient or background picture or pattern. 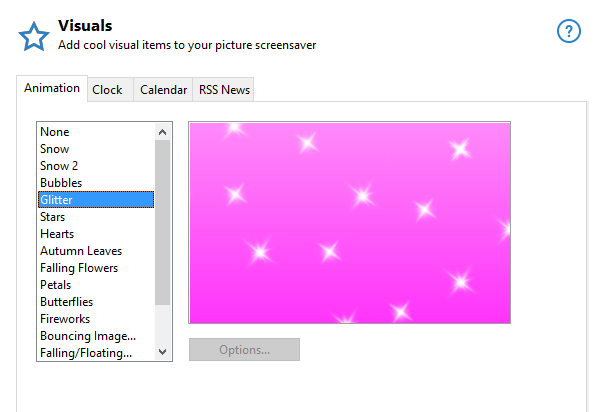 You can make your screensaver display information from one or more RSS feeds. 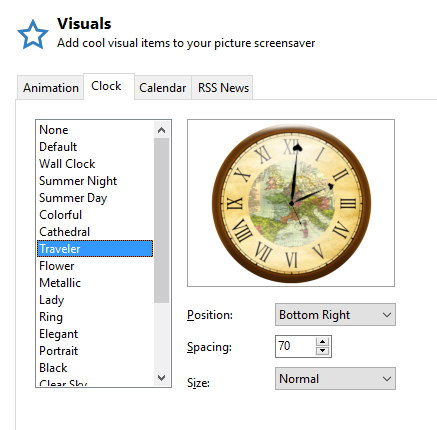 Screensaver Factory has special features for shareware (try before you buy software) authors. 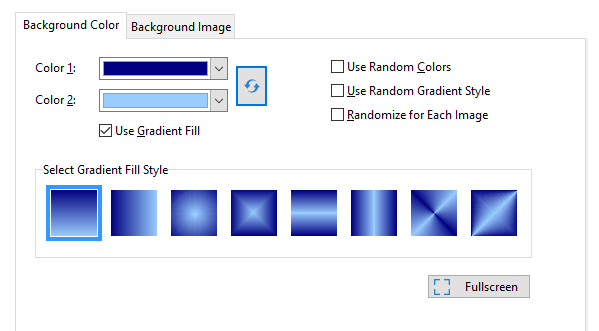 You can easily create screensaver trial versions for royalty-free commercial distribution. 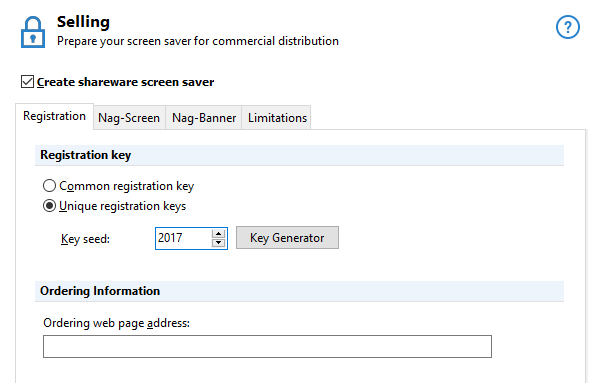 Unique registration key system allows to provide each screen saver buyer with unique registration key (available in Pro edition only). 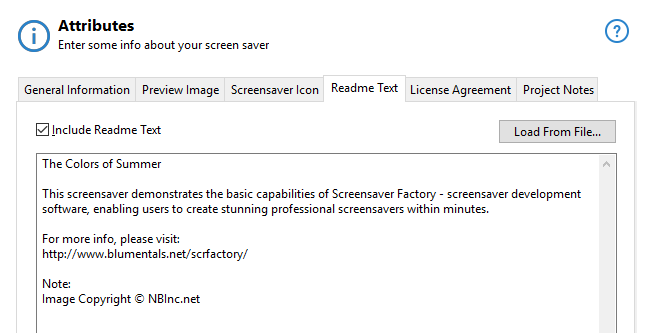 Readme text and license agreement can be included with your screensaver. 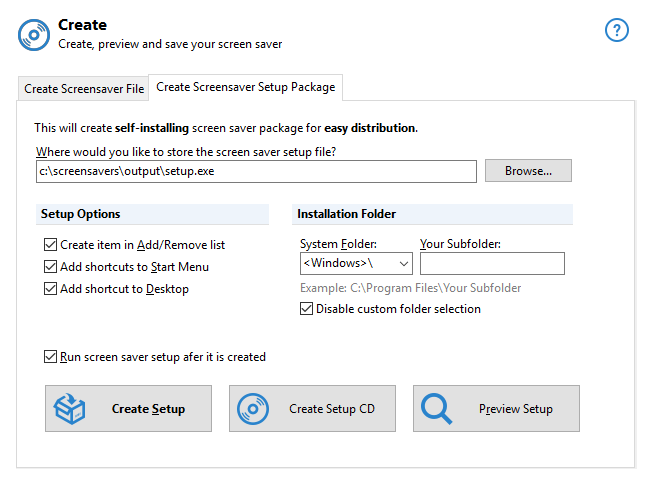 You can create self-installing screensavers for easy distribution. 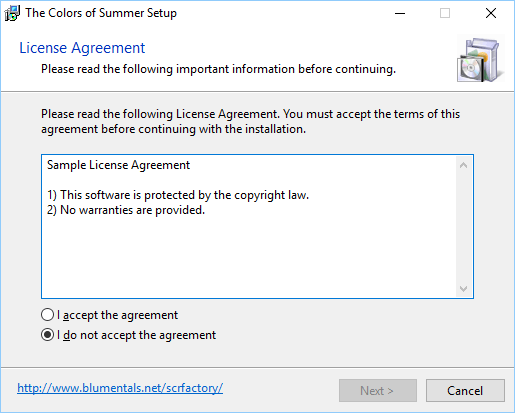 You can create self-installing screensaver setups containing license agreement and readme file. 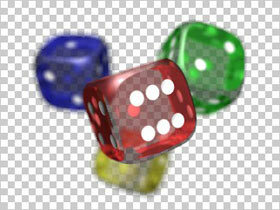 Unleash your creativity and use PNG images with transparent and half-transparent areas to achieve interesting effects. 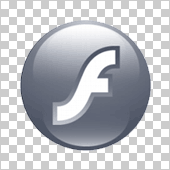 Flash transparency opens new and amazing opportunities for Flash screensaver developers. This feature is especially interesting when combined with option that uses desktop as screensaver background.